Church Donations: Why Clintons Don’t Give Money to Church? As was recently reported, the Clintons donated over $1,000,000 to charity, but none to church. Why don’t the Clintons make church donations? In fact, according to The Daily Caller, the Clinton gave $1,042,000 in charitable contributions last year — $1 million of which went to their own family non-profit, the Clinton Family Foundation. You can view their tax forms here. They made not a single church donation. In the first presidential debate, Hillary Clinton questioned why Donald Trump hasn’t released his taxes. Among the many reasons she gave as to why the billionaire hadn’t done so, she mentioned that perhaps he hasn’t been as charitable as he claims. The fact is, the Clintons lack of charity is IN YOUR FACE! The power couple earned $10,745,378 last year, mostly on income earned from giving public speeches to crooked corporations currying favor. But the bigger atrocity is that for the Clintons, charity begins at HOME! Aside from giving the $1,000,000 to their own charity (for a big write-off), the Clintons gave $42,000 to Desert Classic Charities. A strange amount of money to an obscure charity. But there is more as The Daily Caller article notes. It shouldn’t surprise anybody to learn that Clinton Foundation adviser and former assistant to Bill Clinton sat on the board of directors of that organization through 2014, according to its IRS filings. But the bigger donation issue for me is around church donations. 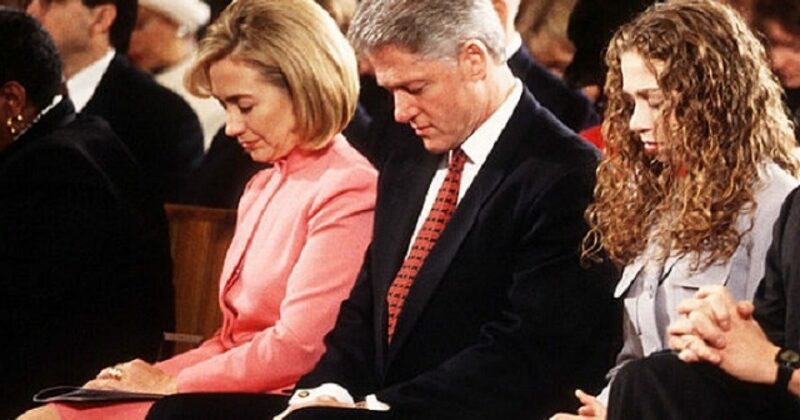 The Clintons claim to be Christians, and have been strategically see going to church. They use black churches to “rock the vote.” Yet they gave not a single dollar to church in 2015, and I suspect in many years past. In stark contrast for example, former governor and 2008 presidential candidate Mitt Romney gave $4 million in charity on income of $14 million, with a significant portion going to his family foundation and his church. Many liberal commentators criticized the Republican for doing exactly what the Clintons did, in donating to his family foundation. But they also criticize Romney for donating to his church. Mother Jones, another liberal publication, published several articles skewering Romney for giving to his own church. “Romney Tax Tips: 10 Ways to Stiff the IRS,” is one such article. “Vetting Romney’s $3 Million in Charity” is another. For the pious among us, I suggest they look at the Clinton’s charitable giving, and see how much of it goes to the church. My take: when you think you’re bigger than God, why donate to him, when you can donate to yourself.